Wilson Duo with 40 compression points is softer than other similar products in the market. It features a high performance 2 piece construction for good distances. 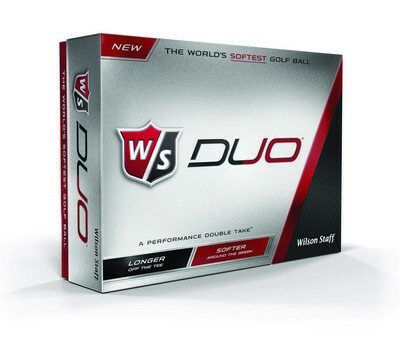 The Wilson Duo is the ideal choice for golfers who look for a softer feel without sacrificing distance. Take to the green with this Duo and watch your confidence grow with every play! Imprint your company logo and marketing message on the ball for an eye-catching promotion and watch your brand go the distance in style!